Long, relaxing days in the saddle are what the Kawasaki Voyager XII motorcycle was built for. 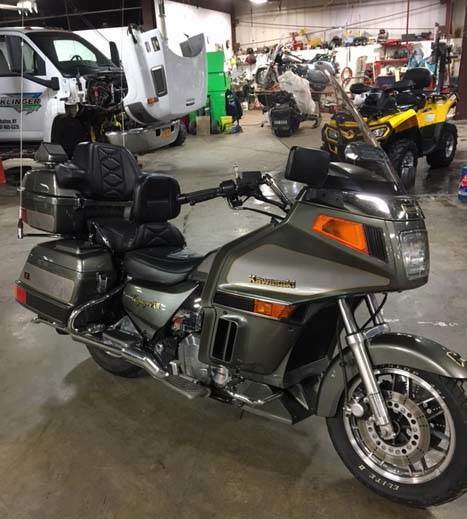 This machine lays claim to all of the features of a luxury tourer, from its spacious saddlebags and large rear trunk to its massive full fairing with wide windshield and deeply cushioned seat that’s good for all-day cruising comfort. Passengers also benefit from an equally comfortable seating position, with grab rails, an adjustable and their own floorboards. Truly, the Voyager pampers all of its riders.